Many things still puzzle me about Peirce’s account at this point. I indicated a few of them by means of question marks at several places in the last two Figures. There is nothing for it but returning to the text and trying once more to follow the reasoning. Let’s go back to Peirce’s example of abductive inference and try to get a clearer picture of why he connects it with conjunctive terms and iconic signs. 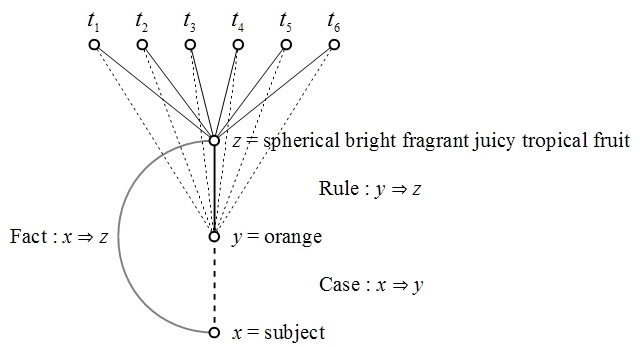 Figure 1 shows the implication ordering of logical terms in the form of a lattice diagram. The relationship between conjunctive terms and iconic signs may be understood as follows. If there is anything with all the properties described by the conjunctive term — spherical bright fragrant juicy tropical fruit — then sign users may use that thing as an icon of an orange, precisely by virtue of the fact it shares those properties with an orange. But the only natural examples of things with all those properties are oranges themselves, so the only thing qualified to serve as a natural icon of an orange by virtue of those very properties is that orange itself or another orange.